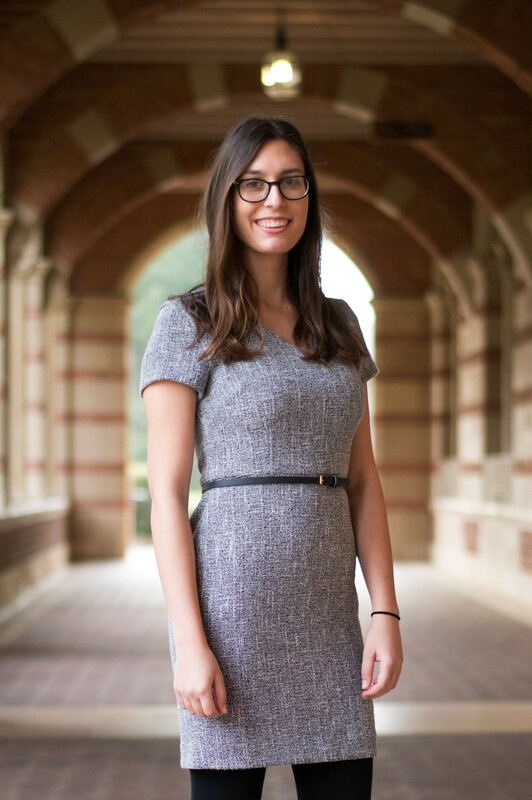 The Jessie Alpaugh Senior Prize in Disability Studies, awarded annually, was established to recognize graduating seniors who are enrolled in the UCLA Disability Studies minor and have developed an outstanding capstone project that contributes to emerging scholarship in the field and also captures their intellectual passion. 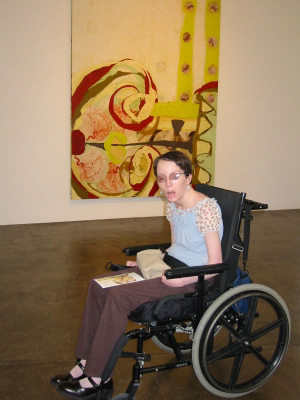 The prize is named in honor of Jessie Charlotte Blackmar Alpaugh, an art history major at UC Berkeley who, during the last summer before her sudden death in 2002, worked at UCLA on an independent studies project that contributed to the foundation of UCLA’s Disability Studies minor. At the age of 16, Jessie had suffered a catastrophic series of neurological illnesses that left her a quadriplegic with severe speech, hearing, and visual impairments. Despite these challenges, Jessie thrived intellectually and was admitted to UC Berkeley in 1999 as a Chancellor’s Scholar. There she found a vibrant group of scholars who were engaged in developing the interdisciplinary field of disability studies. The disability world was never a “club” that Jessie wished to join – the illness that had threatened her life and left her severely disabled deeply saddened her. However, through disability studies she discovered an amazing academic community that simultaneously challenged her mind, respected her experience, and sparked in her a sustaining passion and purpose. Jessie would be extraordinarily proud of the UCLA Disability Studies program and would be humbled to learn about the senior prize awarded in her name. Please review the Jessie Alpaugh Senior Prize 2019 Announcement to ensure eligibility BEFORE starting your application. Disability rights activists see Disability Studies as a dominant lens through which we understand difference in the world. Please relate your work and aspirations to this idea and articulate how you would address perceived challenges to ability justice. If you’re having issues uploading your application materials, please contact Chelsea Hackett . If you have questions about the application requirements, please contact Pia Palomo. Julie is graduating with a degree in cognitive science and a minor in disability studies in June 2018. Her academic and internship experiences through disability studies has shaped her career goals and overall outlook on diversity, inclusion, and human rights. In particular, her internship experience at OPICA, a day program for older adults with dementia, inspires her to become a clinical social worker in the future. Furthermore, her disability studies capstone research allowed her to explore human rights as it currently exists for people with psychiatric disabilities in jail. Julie is grateful for being a part of the disability studies program at UCLA and hopes to use what she has learned so far to make an impact in her future career. Project Title:What Futures Await Foster Youth and Psychiatric Disabilities? Project Title: Democratic Schooling: A viable alternative for autistic students?